The rise of opioid use in the United States has had plenty of devastating effects, but the epidemic has now ensnared an unlikely victim: mussels. The Puget Sound Institute says it’s detected trace amounts of oxycodone in bay mussels living in Puget Sound waters, thought to be passed to the mollusks via water released from wastewater treatment plants in the greater Seattle area. Fans of moules frites need not panic just yet, as scientists say that not only are the amounts detected very, very low, but “the areas where the oxycodone-tainted mussels were sampled are considered highly urbanized and are not near any commercial shellfish beds.” So you know, it’s just those city mussels who are hooked on drugs, not the eating kind. But it’s still a troubling indication of how human pharmaceuticals trickle down—literally—to the rest of the food chain. (Recently, water from the Great Lakes was found to contain microplastics that can end up in beer.) 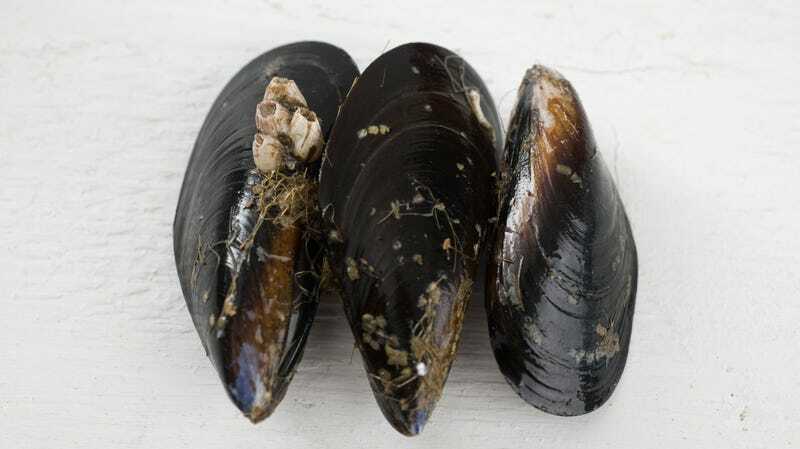 Luckily, oxycodone is not expected to affect the mussels, who are unable to metabolize the drug, but researchers are concerned about the potential for opioids to harm fish, who are known to biologically respond to them. Zebrafish have been shown to voluntarily dose themselves with opioids and exhibit “drug-seeking behavior” in a lab environment. Tissue samples taken from the Puget Sound mussels were also found to contain high levels of the chemotherapy drug Melphalan, which scientists say was present at “levels where we might want to look at biological impacts.” If there’s any silver lining—and I’m grasping for one, because this news is depressing—it’s that these mussels aren’t destined for human consumption, and that understanding the levels of contaminants in downstream environments leads scientists and policy makers to solutions that would help not only mollusks but humans, too. Hopefully.